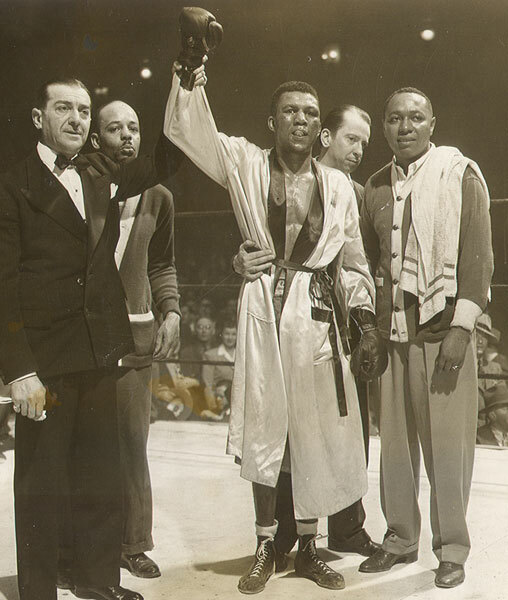 On this day in 1943, Bob Montgomery became lightweight champion for the first time with a 15-round decision over Beau Jack, at Madison Square Garden in New York. The win, which played out before 18,343 fans, was a decisive one for Montgomery. Bob started slowly but then built a commanding leading, scoring a knockdown and almost completely closing Jack's eyes along the way. This fight launched a legendary four-bout rivalry between the North Philadelphian, Montgomery and Jack of Augusta, GA. All their matches were hotly contested, with both men winning two decisions each. It was the perfect rivalry. But as grueling and competitive as they were inside the ring, these two Hall of Famers remained friends outside it. Montgomery would lose his title to Beau later that year, only to regain it in 1944.